It was a clear and warm evening in Santa Clara. The 1-7 Raiders were taking on the 1-7 49ers. It was the Battle of the Bay, the last time these two teams would face each other in the Bay Area. 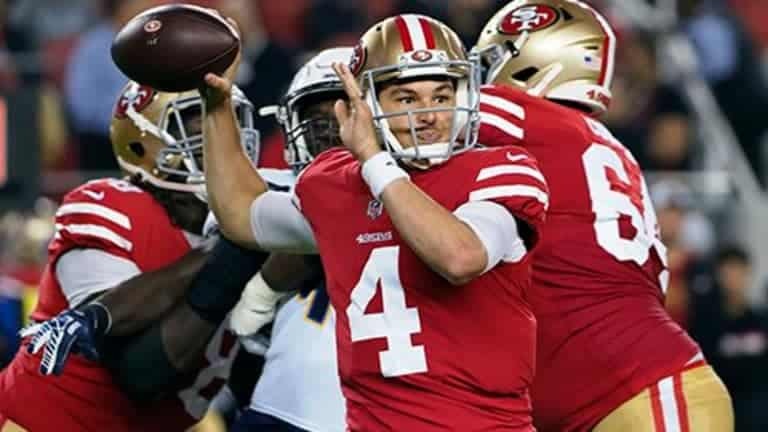 49ers QB C.J. Beathard was scratched from the starting lineup allowing 3rd string QB, Nick Mullens’ to start. Here’s a few highlights on how he did for his first NFL Career start. Matt Breida also added 44 yards on 12 Carries. The 49ers running game ended with 32 Carries for 143 yards. That’s how you run by committee. Nick Mullen’s looked like he’s been starting QB for 10 years by finding holes and dicing up the Oakland Raiders defense. Mullen’s finished 16/22 for 262 yards with 3 Touchdowns to Garçon, Bourne and Kittle. For his first start, Mullen’s ended with 151.9. The perfect QB rating is 153.6. You be the judge. George Kittle lead the team with 108 yards off of 4 catches. Pierre Garçon and Kendrick Bourne each had a touchdown reception. The defense had 5 sacks – Cassius Marsh 2.5, 1.5 by Dekota Watson, and Deforest Buckner and Ronald Blair each had a sack. The defense held the Oakland Raiders to 3 points. 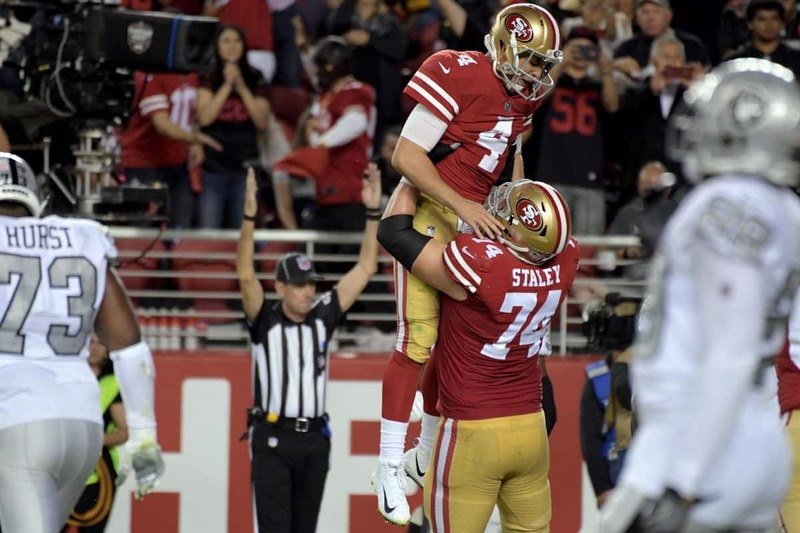 Overall, the San Francisco 49ers played together as a team by defeating the Oakland Raiders 34-3. Can the niners keep the momentum going and defeat the New York Giants? Is Christian Benteke Enough Bang for his Buck?